One place that Samantha Parker never intended to return to was Hidden Falls. It is where she grew up and the place where she heard her older brother being killed. But when her mother fell ill, Sam came back and now is in the process of selling her mother's home. The town hasn't exactly been welcoming though with vandalism being done to her house. The one bright side is that she has discovered that she enjoys teaching. The only reason that Dr. Ethan McClane has returned to Hidden Falls is to do a favor for a judge. He has agreed to help Thomas adjust to living in a smaller town to give the kid a chance to stay out of trouble. There was an immediate attraction between Sam and Ethan but neither were looking for a relationship in this town. Besides there are too many secrets between them. Secrets that could tear them apart if they came to light. 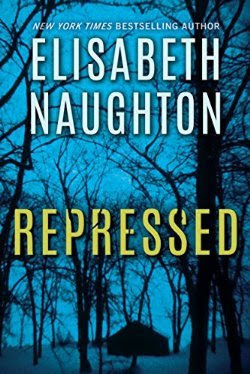 REPRESSED is an enjoyable book that seems to jump right into the action. I found however that there was a delight undercurrent of tension that builds up slowly towards a climatic finish. And it was this undercurrent that really caught and held my attention. The characters are finely developed and the dialogue flows nicely. Ms Naughton put as much attention into developing the secondary characters as she did with Sam and Ethan which adds much to the story itself and made it difficult to pinpoint just who the real villain is. I do recommend REPRESSED to my readers who enjoy romantic suspense. This book will keep you on your toes and it is even has a cute dog as part of its cast.